The RKS Rail Climbing System enables the panel climbing to occur without separating the structure from the wall. This guiding system makes the lifting operations safe under any weather conditions. 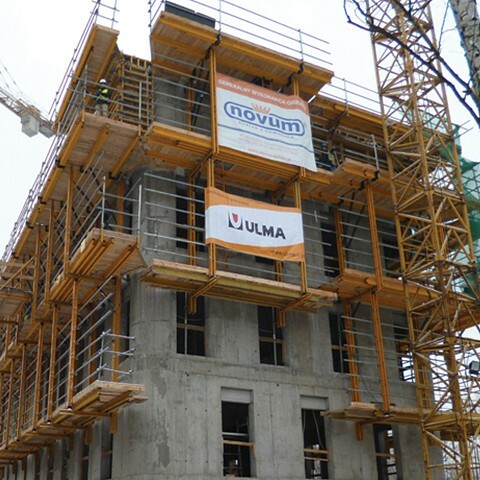 The lifting of the entire structure is done by crane with the option of incorporating a hydraulic system for lifting without the use of a crane. Safe climbing to great heights. Large and safe platforms, customised configurations possible. Formwork stripping distance: 70 cm. Hydraulic lifting possible, without crane. Lifting under adverse weather conditions. Optimised for straight constructions or with repetitive geometries. Hydraulic lifting of the entire structure and optional crane lifting. Adjustable to different pouring heights, standard range from 2.7 to 5 m.
Working load of the hydraulic cylinder: 50 kN. 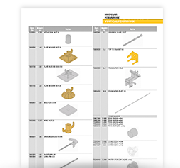 For more detailed information download the RKS product guide.